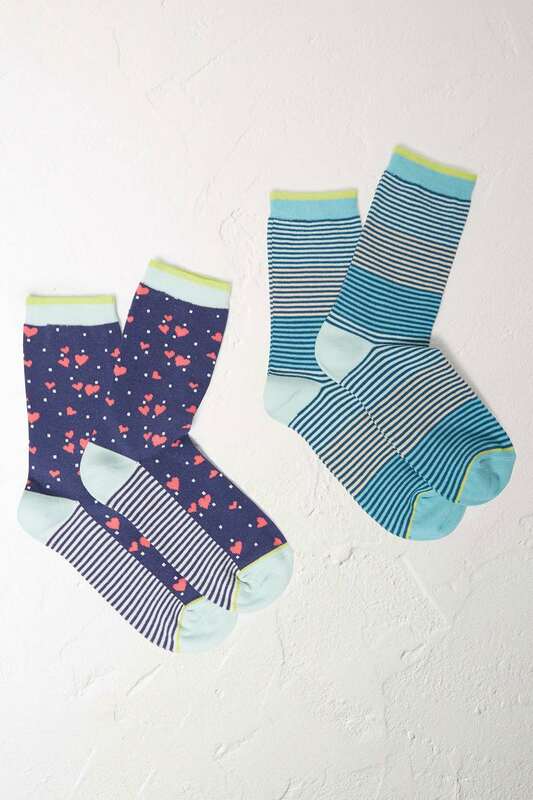 Keep your tootsies toasty in White Stuff's Mini Heart Socks. Available in a pack of 2, both pairs are special in their own way. The first pair features a pretty ditsy heart pattern, whilst the second pair has a fine stripe design.